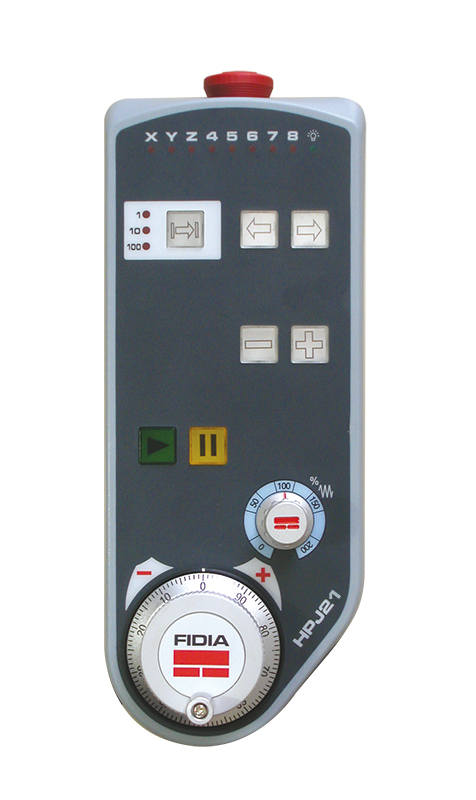 Handheld pushbutton panel with handwheel, feed potentiometer, 3 pushbuttons for axis selection and handwheel resolution, 2 pushbuttons for axis movement in jog, HOLD and RELEASE buttons. Available with a spiral cable (max. 4.5 metres) or a metal sheath cable with a length of either 8 or 13 metres.